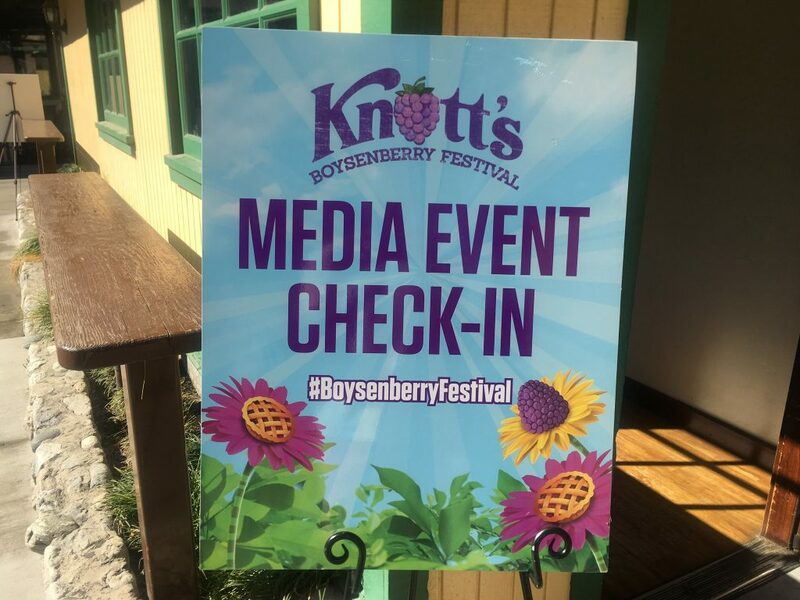 Derrion: The Boysenberry Festival is back at Knott’s Berry Farm and what an amazing day it was! 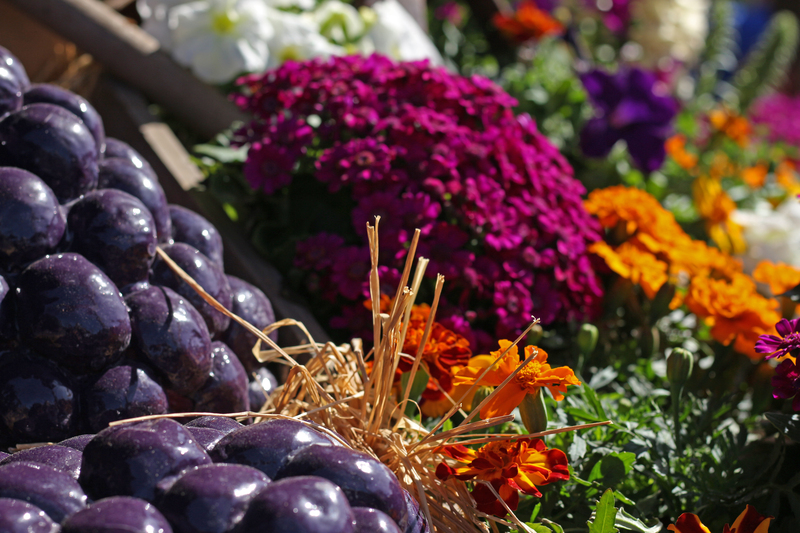 With so many treats, wines, beers, and rides, there is nothing not to love about the famed seasonal event. Lets take a look at what you will find this year. – In the past, many of our images have been posted, featured, and shared on forums, social media platforms and websites around the web. 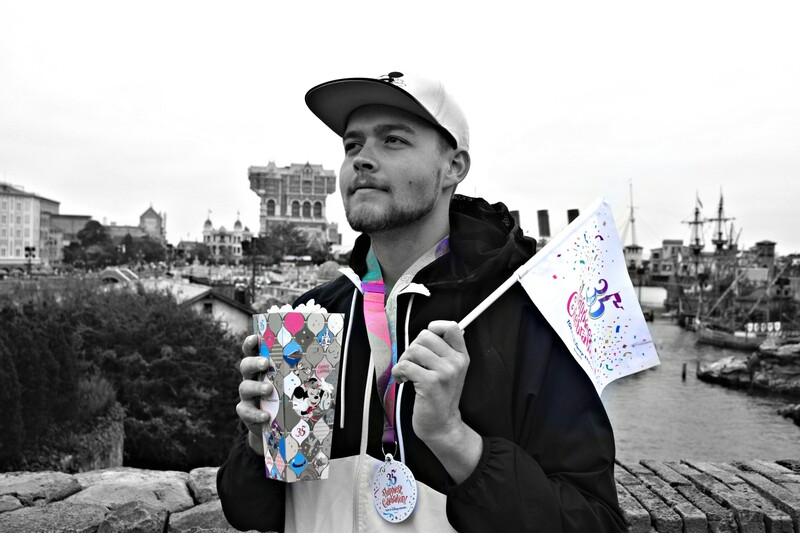 We work hard to provide the coverage that we do, and we encourage our audience to share our content and use our images, BUT ONLY IF proper credit is given to thecoasterkings.com. Thank you! 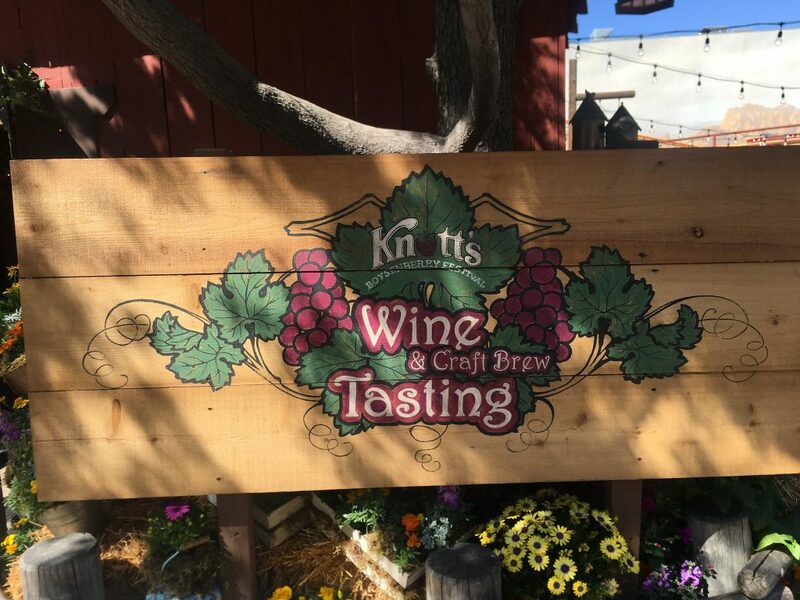 We would like to thank Knott’s for allowing us to attend yet another amazing media event! The park itself was decorated so beautifully. Purple décor could be seen all throughout the park on buildings, lighting packages for many popular attractions, and many of the flowers in the park. This was my very first Boysenberry Festival. I was a little skeptical about an event centered around the famous fruit. 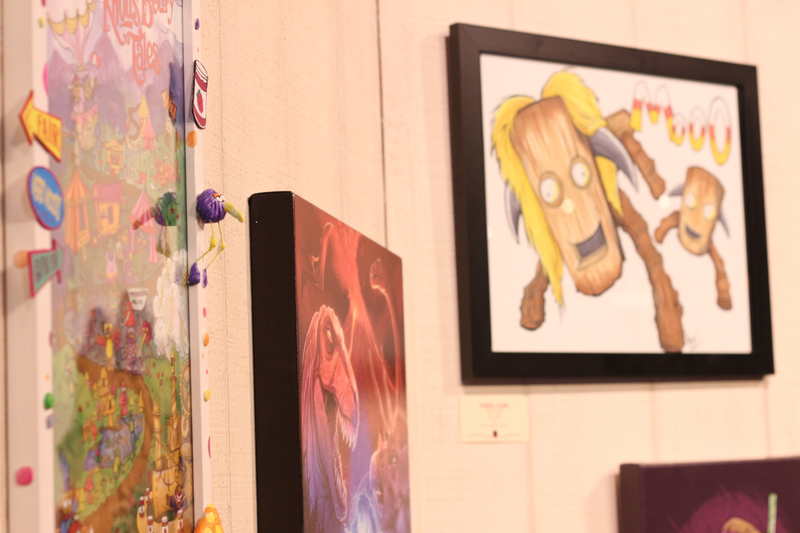 Instead, the event captures the essence of the park history. 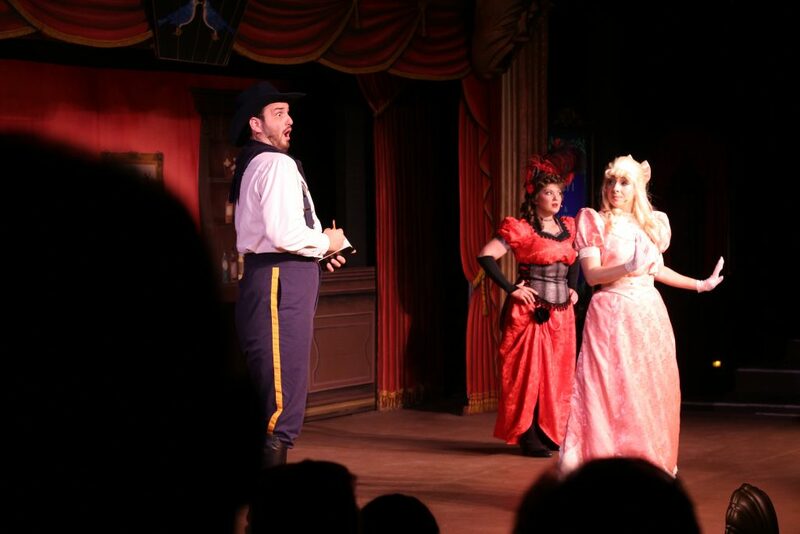 In good Knott’s fashion you can find a variety of entertainment options for all ages. Some popular shows are back, including Old Time Melodrama. 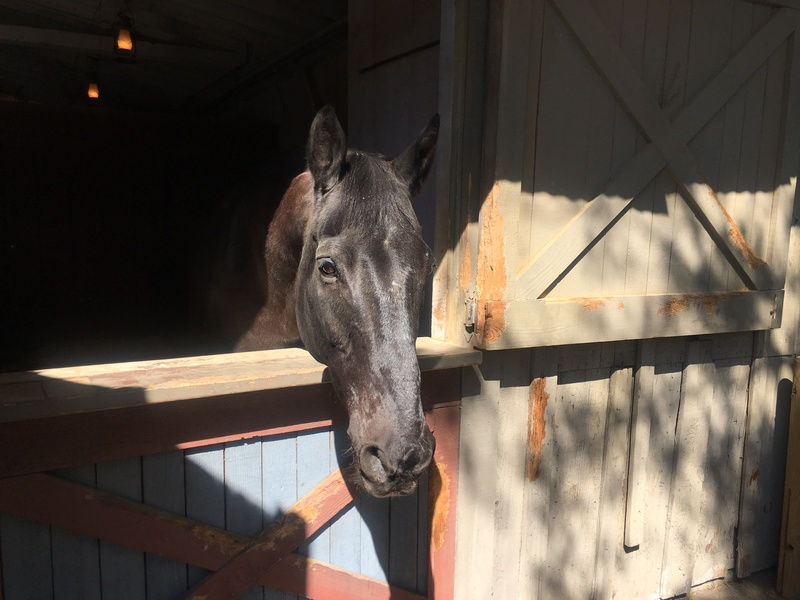 In the mood for visiting the stables? Knott’s has you covered here as well with a variety of animals to view and pet. If you’re like us, there is never a bad time for wine. The wine tasting starts at 11:00 am. This year, there were wine and brews from across the state. 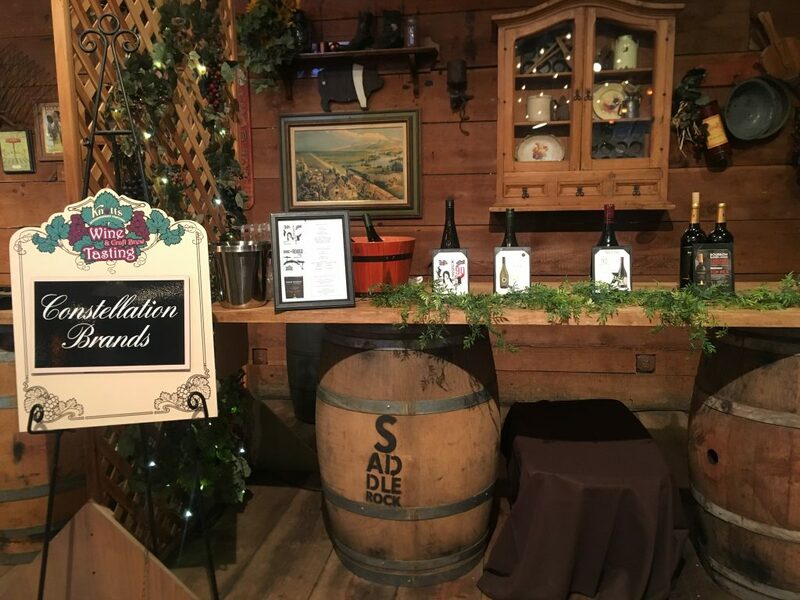 The red barn has many uses throughout the years, but the wine tasting set up has to be my favorite. 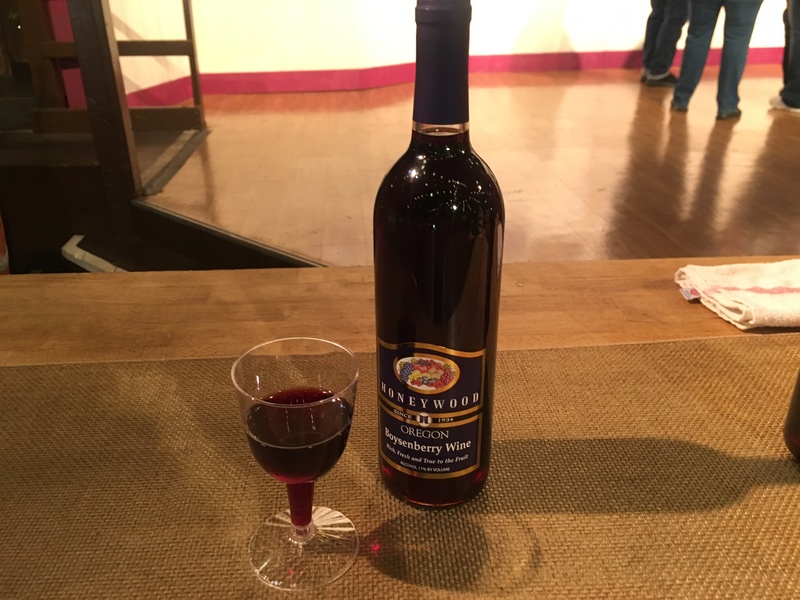 It was exciting to see the addition of boysenberry infused wine and also cider added to the tasting lineup. This bottle by far was my favorite of the day and it did not disappoint. 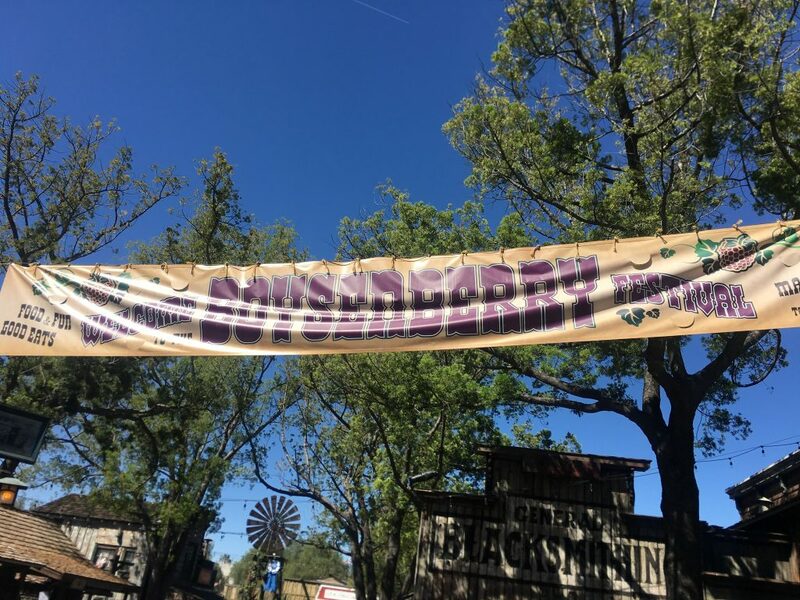 This is the boysenberry festival folks! 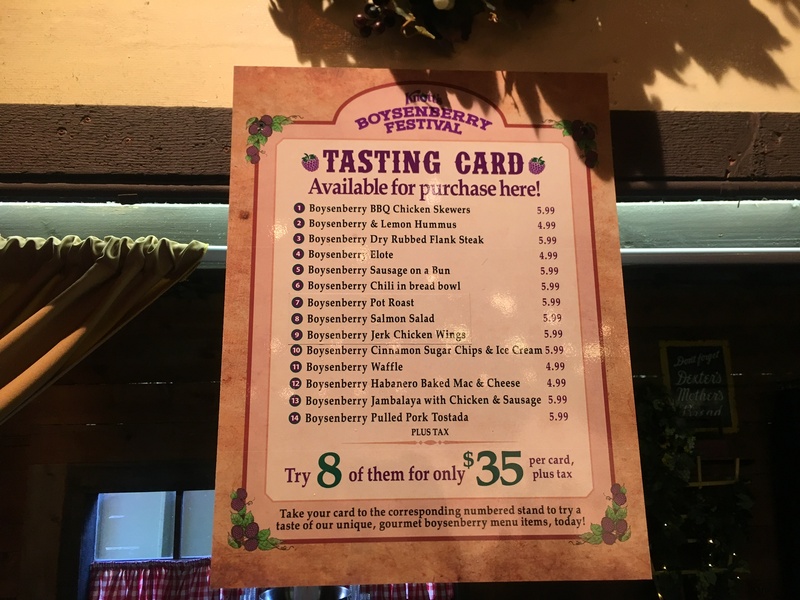 Wine tasting cards start at $32. The best part of the day was trying all of the delicious additions at this years festival. 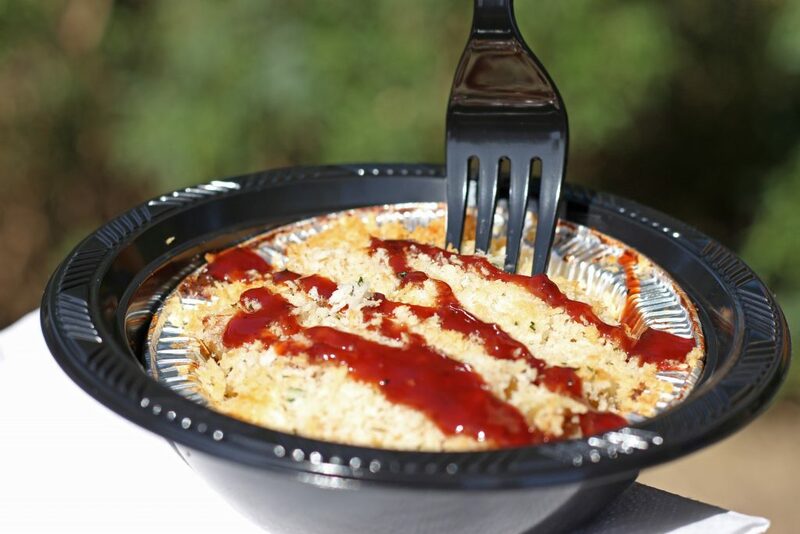 You will be able to find over 75 boysenberry inspired dishes. The Food Tasting card is a great way to eat on a great budget. If you plan on trying more than 6 of the items these cards are in great value. Here are some of the selections we had pleasure of trying and what we would recommend. First Up! 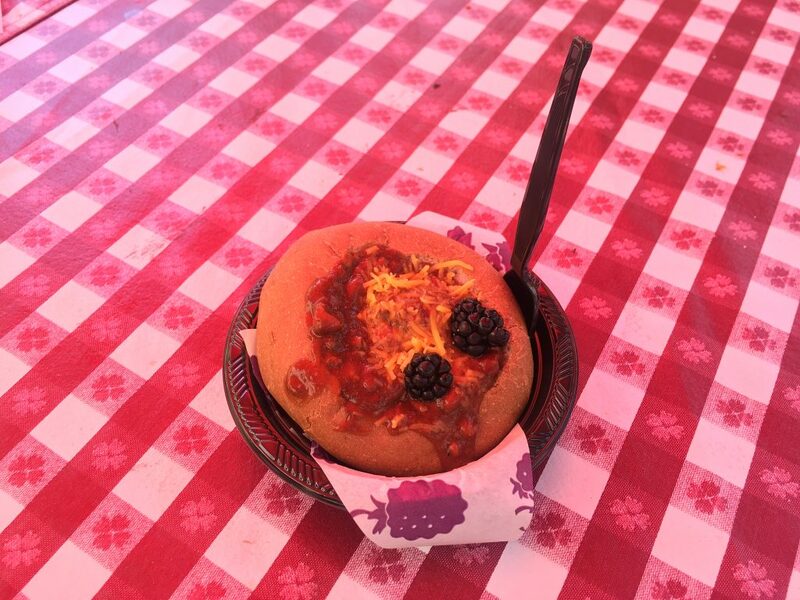 The Boysenbery Homemade Chili in a Boysenberry Sourdough Bread Bowl. Besides riding coasters, I love attending amusement parks for the food and will continue to give honest reviews on tasting items for our viewers. The chili and mix of boysenberry sourdough tasted similar to a sloppy joe. It was very satisfying and is made with beef. Get these while there hot! 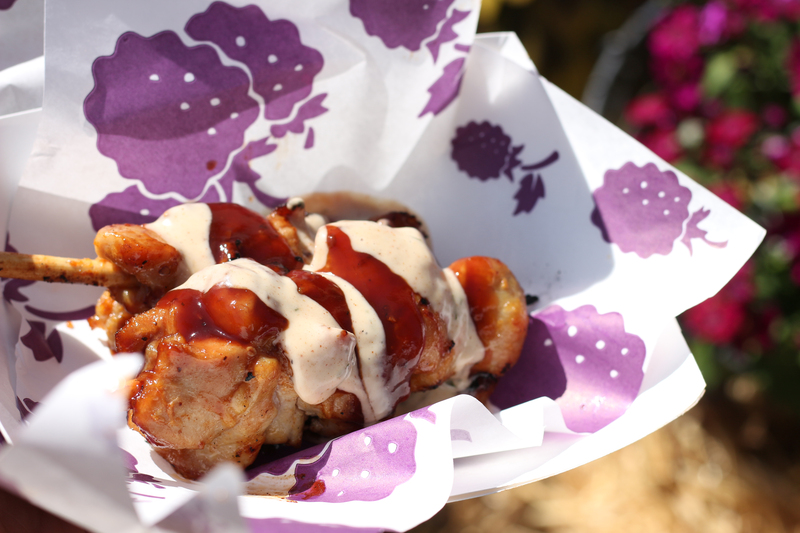 Literally, the Boysenbery BBQ Skewers with Boysenberry Aioli sauce truly are the gem of the event. You can find them near the entrance of Market Street and they go fast, we had to wait a couple hours before they were back in stock! Any Mac and Cheese lovers? Boysenberry Habanero Baked Mac and Cheese is a must on this trip. The baked spices in the mac and boysenberry sauce truly bring out the flavor. 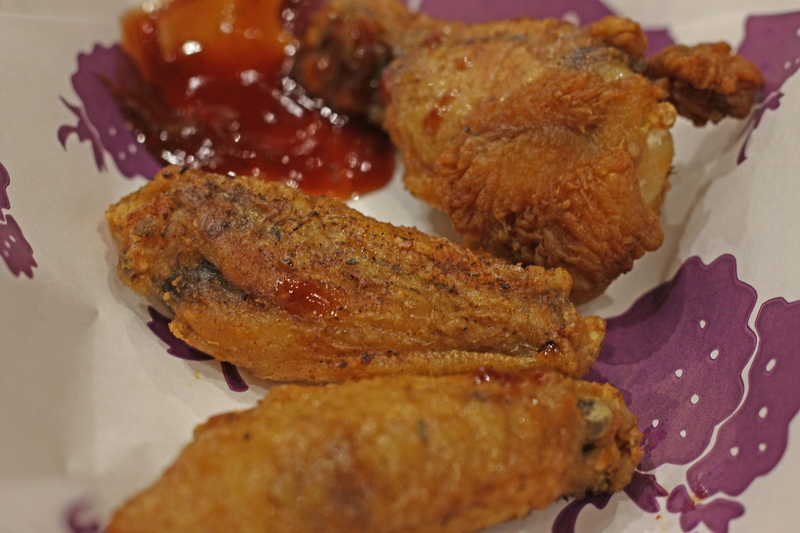 Another favorite on the list: Boysenberry Jerk Chicken Wings. An extremely popular item at the event, these wings were super crispy, savory, and were a sure hit. It also has a hint of spice which is oh so amazing! 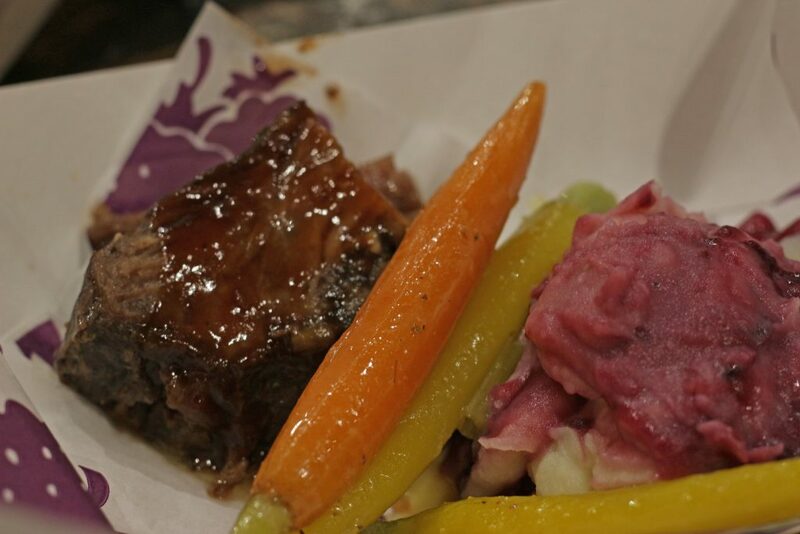 If you are in the mood for a small portion of dinner, these Boysenberry Pot Roast over Boysenberry Mashed Potatoes felt like a taste from home. 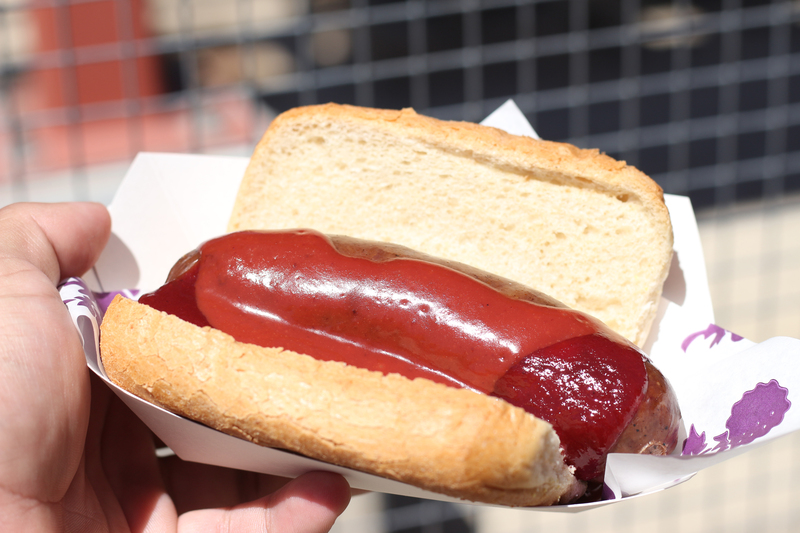 There is even a Boysenberry Sausage on a Bun. The titles of these tastings may deter some guest. Most of the items have hint of boysenberry and are not overbearing with the boysenberry flavor. 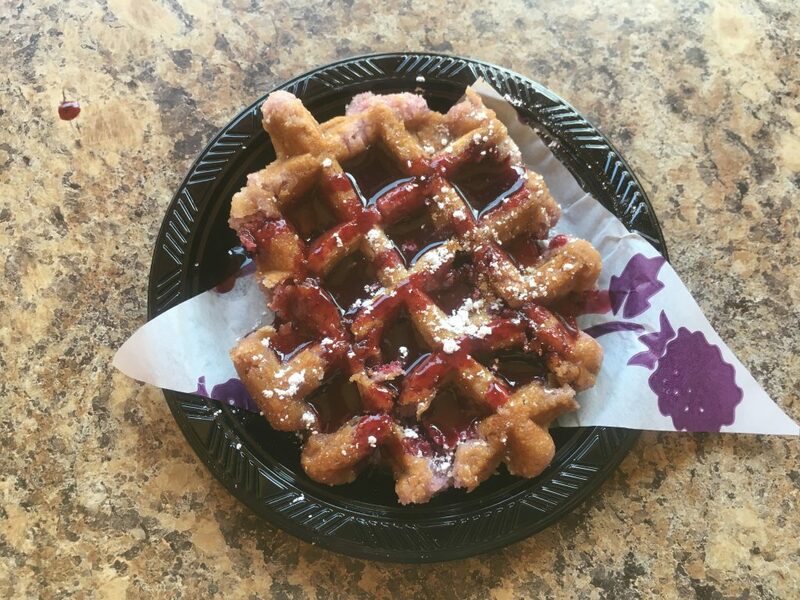 If you are only able to try only one item at this years’ festival , go for the Boysenberry Waffle with a Maple Boysenberry Cream Cheese Syrup. This was my favorite item from the event because the waffle was consistent with a deep dish cookie and the toppings made the waffle complete. The best part about visiting Knotts Berry Farm during this season is you get great eats a long with amazing attractions. 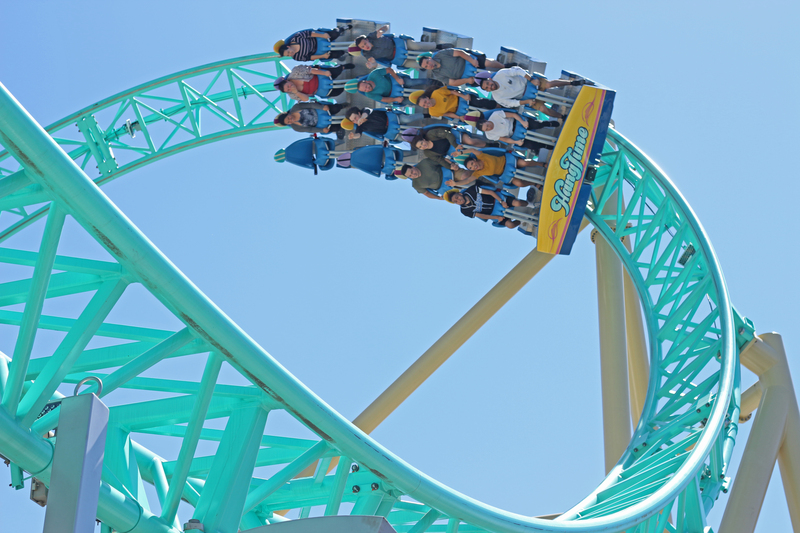 The trip to Knotts Berry Farm would not be complete without a ride on HangTime! We would also like to thank Edward from Ride! for shooting these amazing photos. 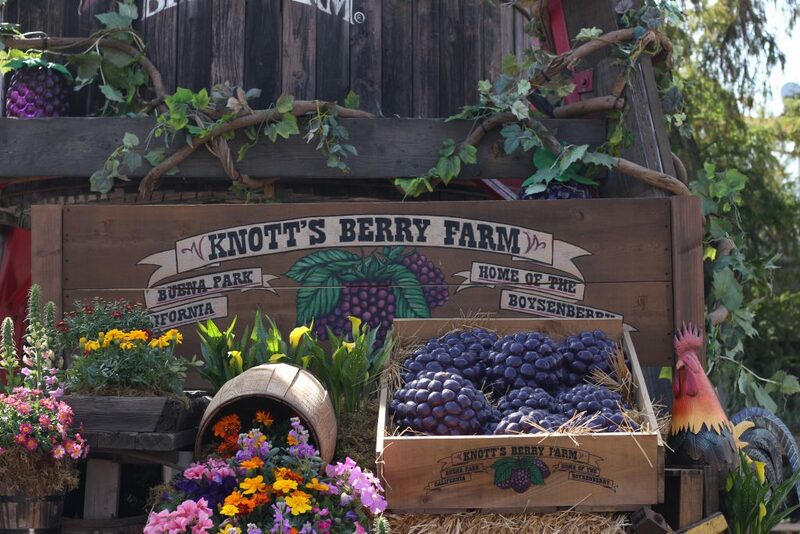 Be sure to check out the Knott’s Berry Farm Boysenberry Festival going on now before it ends April 28,2019!